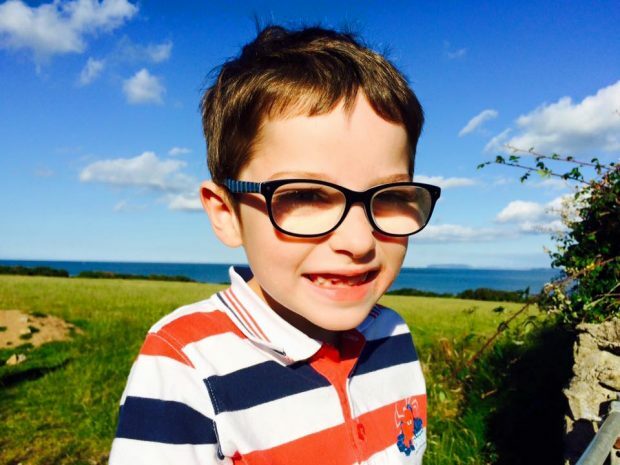 I was talking to a colleague the other day and he told me how his 4 year old son was diagnosed with a severe visual impairment in both eyes as a result of the child vision screen during his reception year at school. Neither he nor his partner had any idea that Cameron’s eyesight was so poor – apparently this is common as problems can easily be mistaken for poor attention or naughty behaviour. But within a week of getting the screening result, Cameron had smart Spiderman glasses and over the next few months his reading and writing were transformed. But despite such success stories, we know that child vision screening is not delivered consistently across the country. The UK National Screening Committee has recommended screening on a number of occasions, most recently in 2013. Commissioning of vision screening for children aged 4 to 5 years is the responsibility of local authorities, as part of the healthy child programme, unlike most other UK NSC approved screening programmes. We have, to date, not developed a set of resources to support the services. We have therefore set up a vision screening guidelines development advisory group to produce and disseminate materials to support the implementation of consistent, high quality local vision screening services. This group brings together experts from Public Health England, professional organisations (representing orthoptists, optometrists and ophthalmologists), academics, practitioners, Association of Directors of Public Health and the Local Government Association. The group will not lead on developing guidance on diagnosis and treatment after a positive screening test but has requested that this is drawn up by clinical bodies. The group met for the first time at the end of April. We are now looking at what resources already exist and what people would like to have. We’ll then start work on developing the new standards of practice and other supporting resources. Hopefully these will be ready to pilot by the end of 2016, with the final “toolkit” published by March 2017. If you’re a commissioner, provider or have particular interest or expertise in vision screening, I would really value your feedback on these proposals, ideally by the end of June. In particular, please comment on the scope of work and membership of the group (click on the links to download the files in PDF format). If you have any documents that might help the work of the group please send them to us too. I’m sure that between us all we can make child vision screening fit for purpose for the coming decades and ensure more children like Cameron get the help they need to achieve their educational and social potential.